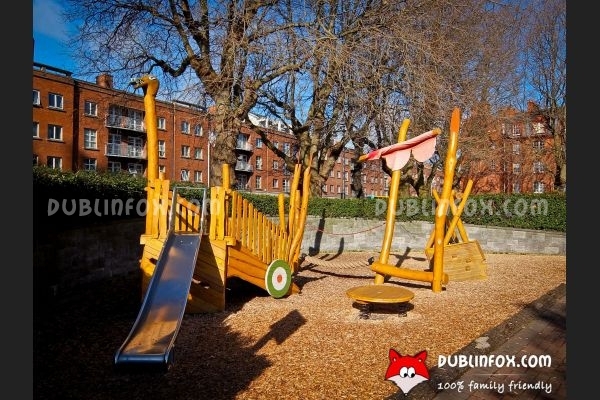 The playground next to St Patrick's cathedral is not a gigantic one, but it is well-kept and inviting. 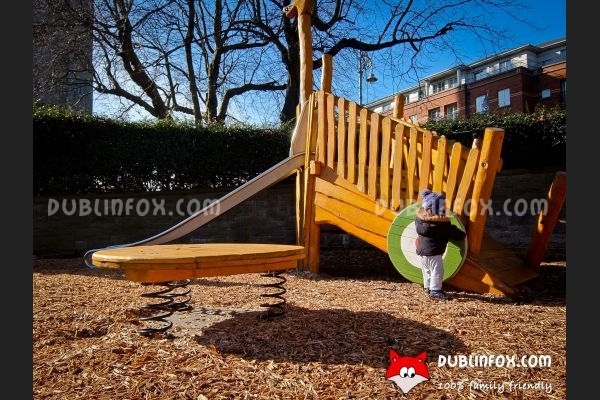 Essentially it is a small multi play unit with a medium-sized slide and several climbing units. 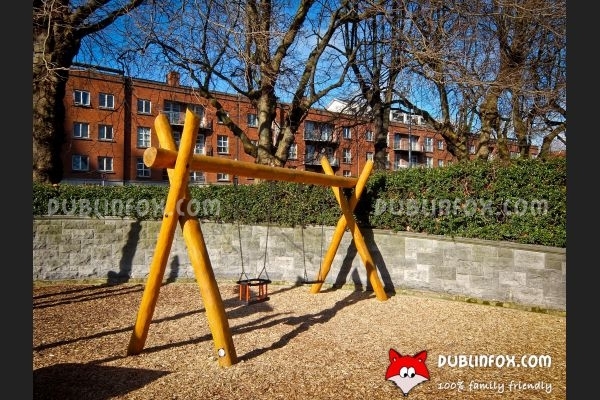 Next to this structure (that is a symbolic Viking ship), there is a wobbly plate and two swings, one of which is a baby swing. 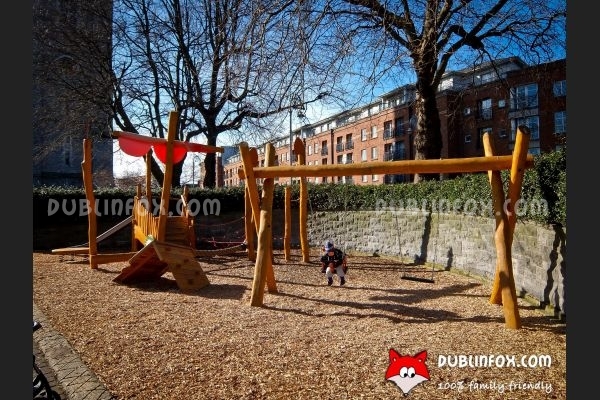 The playground is not fenced. 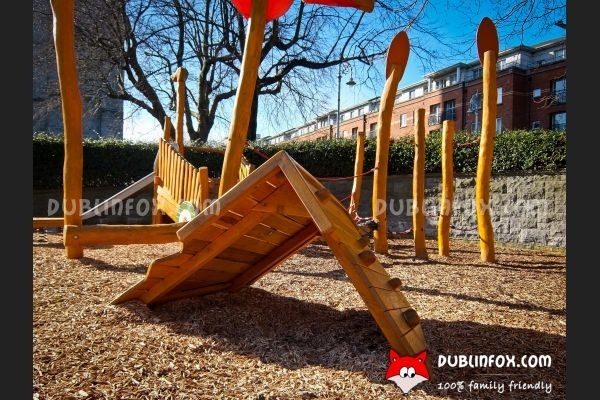 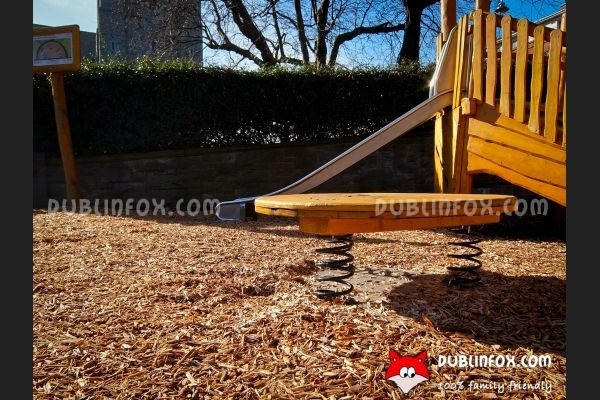 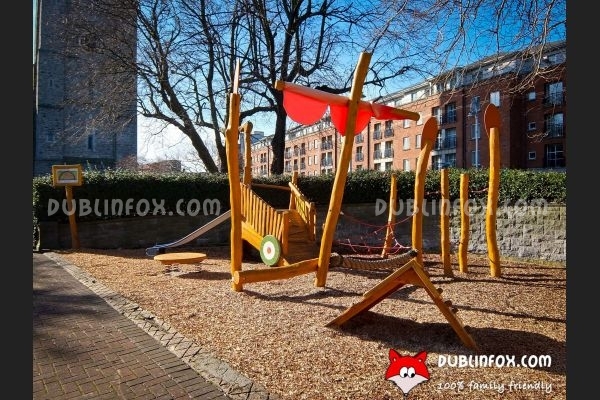 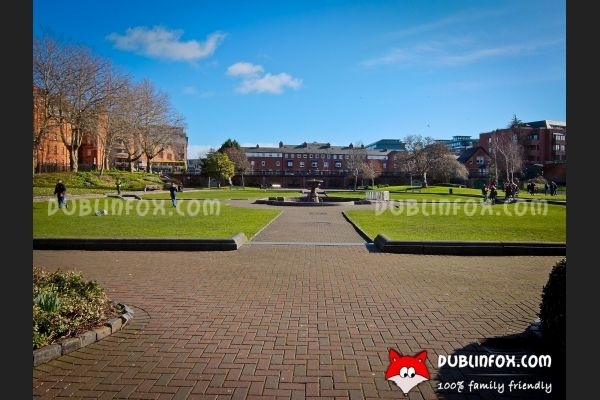 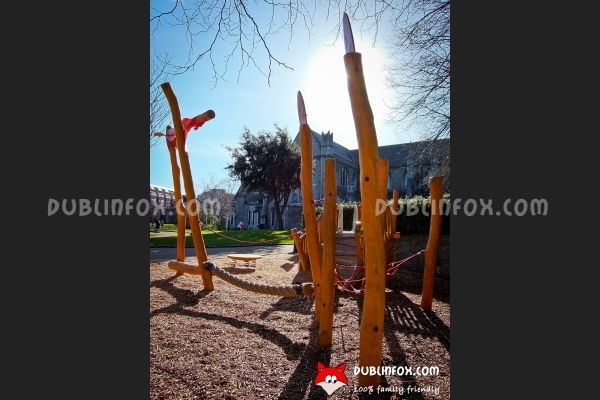 Although this play area is not the biggest one in Dublin, it is ideally located in the city center and very popular with local kids. 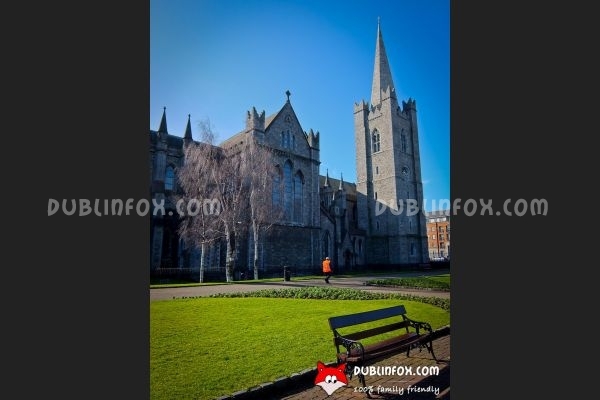 Click here to open St. Patricks Park's website in a new window.